Our team of addiction specialists are available 24/7 to answer any questions you may have regarding any of our programs. Our admissions team is in recovery themselves, so they truly understand what you or your loved one may be going through. A compassionate, understanding voice on the line can potentially be the difference between life or death. 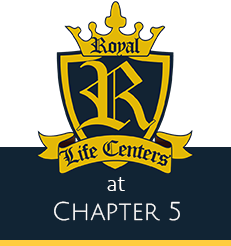 If you or a loved one is suffering from a substance use disorder and is ready to get help, call us now at (877)-RECOVERY or (877)-732-6837 Royal Life Centers is here to help, Because We Care.